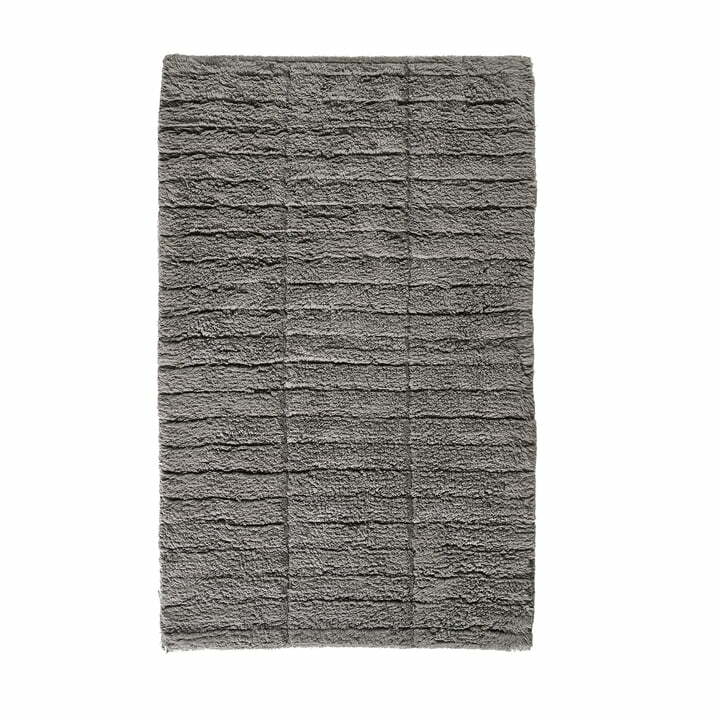 The Soft Tiles bathroom mat from Zone Denmark adds a stylish touch to any bathroom and sets cosy accents in the bathroom ambience. Their fine tile pattern provides a light structure and a discreet eye-catcher. Together with the matching Tiles shower curtain you can create a uniform look in the bathroom. Made of 100% cotton, the mat is particularly absorbent and is therefore perfect as a rug before the shower or bathtub. In addition, the feet remain protected from the cold tiled floor after getting out of the shower and are pampered with a soft feeling. The Soft Tiles bathroom mat, designed by VE2, is available in various colours and can be perfectly combined with those of the Ume and Nova series. Soft Tiles bathroom mat, 80 x 50 cm in stone grey from Zone Denmark in single view. Made of 100% cotton, the mat is particularly absorbent and is therefore perfect as a rug before the shower or bathtub.